By Megan Graham . Published on March 20, 2019. SkinnyPop has gobbled up 12 percent of U.S. market share in the popcorn industry since it debuted nine years ago. Now it has a new agency and is eyeing a more ambitious future. In 2015, the Austin, Texas-based brand went public as part of Amplify Snack Brands, which was then acquired by Hershey for $921 million in a deal announced in December 2017. According to 2018 data from Euromonitor, SkinnyPop is bested only by PepsiCo's Smartfood (which has nearly 18 percent) in terms of U.S. market share in the popcorn category. 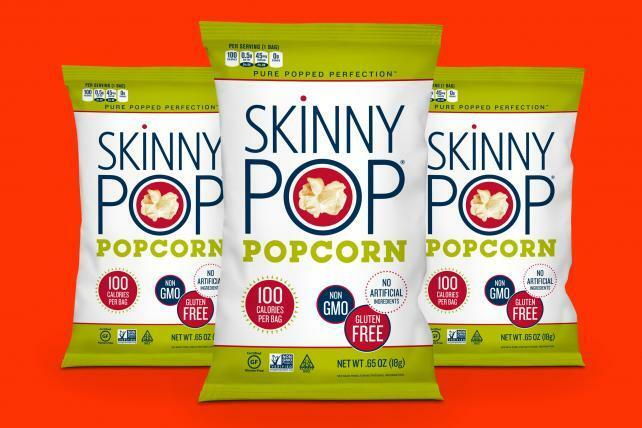 "SkinnyPop is such a rapidly growing brand in the better-for-you space, not just in popcorn," says Kyle Banahan, Amplify's director of marketing. As the company is thinking about becoming a master brand, it is upping its investment in marketing, he says. To help it reach that next stage, the brand selected Dentsu Aegis Network shop 360i to handle creative and media as its integrated agency-of-record. That integrated approach allows its agency partners to be in the same room through the entire process, "so everything [feels] connected," says Banahan. The next few months will bring a new campaign from SkinnyPop, which Banahan says will involve the "avid, cult-loving following of SkinnyPop" with the message of "You don't have to choose between healthy and tasty." SkinnyPop previously worked with Austin, Texas-based McGarrah Jessee. "We're all so proud of the brand development, engagement strategy and creative work we did together with SkinnyPop, which culminated in a doubling in sales, setting the company up for the Hershey's acquisition," McGarrah Jessee marketing director Heather Snow said in an email. "With new leadership comes new direction, and at this point we all mutually agreed this change made sense for the brand. We continue to support other brands within the Amplify portfolio." Banahan says factors like simple ingredients and the clear calorie count on packaging make SkinnyPop an attractive choice for consumers. "Consumers have a ton of trust in the brand," he says. "We took that trust and said, 'What other categories can we provide this solution?'" Two years ago, that meant widening beyond bagged popcorn to products like microwave popcorn and popcorn cakes. Now, they want to take that one step further. "Our focus is to figure out … how do we continue to innovate on ready-to-eat?" he says. "When this brand was launched, it kind of defined better-for-you. In our heads, we're constantly thinking about how do we evolve it now, move it forward … we're thinking bigger about the brand and a role in better-for-you snacking, not just better-for-you popcorn. Where do we make sense as a bigger brand?" 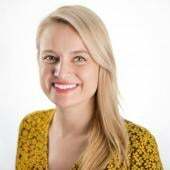 360i New York president Abbey Klaassen says the brand has "massive potential" for growth and expansion into new categories. "It's also a brand with an honest-to-goodness cult following – including many of us at the agency," she writes in an email. "As snacking preferences continue to evolve, there's so much opportunity for SkinnyPop to capitalize on shifting behaviors, and we're excited to partner with them on that journey." As for whether that bigger brand needs a broader name, Banahan doesn't think so. "We have such strong consumer loyalty and love with the brand that we would never walk away from the name," he says. "Additionally the SkinnyPop brand name is the definition of equal parts [better-for-you] and fun, which truly transcends categories."